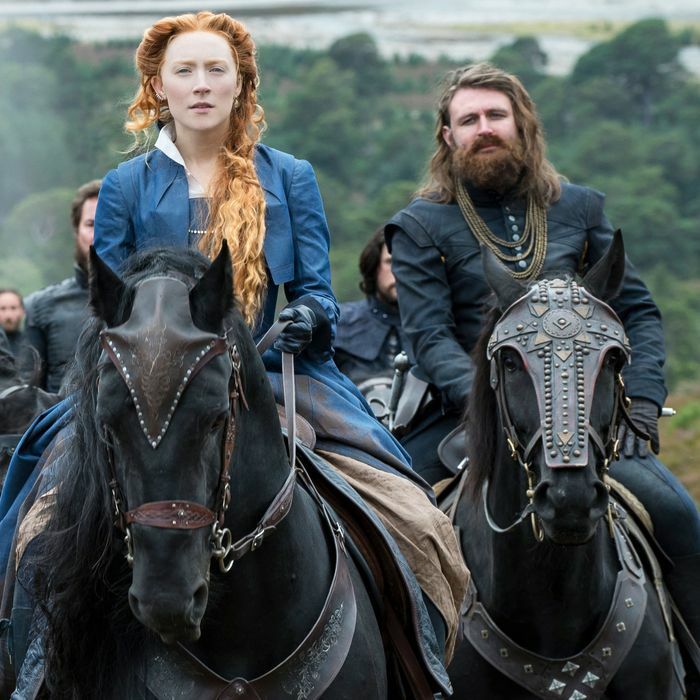 Oscar Futures: Can Saoirse Ronan Land Her Fourth Nomination for Mary, Queen of Scots? This Ruth Bader Ginsburg biopic was one of the last Oscar contenders to remain unseen, finally debuting as the opening-night film at AFI Fest last week. Reactions were mixed: Ginsburg superfans seem to love it, but critics like Variety’s Pete Debruge are casting some side-eye at the movie’s “intensely hagiographic tone.” (The screenplay was written by the justice’s nephew.) No one’s yet gone broke selling Ginsburg in 2018 — RBG is the year’s second-highest-grossing documentary — and as with Green Book, it’s possible that, if the rest of the dish is tasty enough, voters might not mind some cheese. One question: Can a biopic get a Best Picture nom without an accompanying acting nod, or is everything riding on Felicity Jones? The news that Netflix was planning a three-week limited release for Roma seemed an indication the streamer and the Hollywood Establishment might be ready to play nice. Would that it were so simple. This week, we learned Roma won’t play in Alamo Drafthouse theaters, thanks to disputes over when and how the film would be projected. And Wednesday brought a THR story that revealed plenty of lingering discontent with the company among industry power players, with one executive accusing Netflix of “pulling a big con” with its strategy of “four-walling” (renting out) theaters that play its films. Roma is considered one of this year’s strongest contenders, but the bad blood may complicate its prospects. 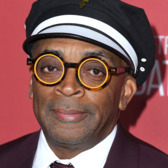 Lee was blanked at Friday’s Spirit Award nominations, where Adam Driver continued his streak of being the only thing about BlacKkKlansman to get any awards attention. 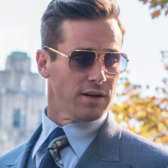 It was looking like this could be the year Lee finally got his first Best Director nomination, but the breaks don’t appear to be going his way. Who could fill Lee’s spot? 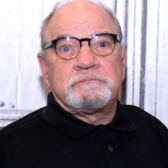 The smart bet is probably Beale Street’s Barry Jenkins, but don’t sleep on Paul Schrader, whose First Reformed led the Gothams and today picked up four Independent Spirit nominations, including a directing nod for Schrader. Oscar loves a comeback, and Schrader’s return from direct-to-VOD purgatory is as good a story as any. If you’re promoting a movie about interracial friendship, “white star says the N-word at a talkback” might be at the top of your list of nightmare scenarios. 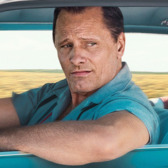 But while I can’t speak for everyone who was offended, it seems like Mortensen’s slur at a recent Green Book screening won’t sink his chances. He apologized immediately, and though Mahershala Ali was careful not to minimize the impact of Mortensen’s words, he ultimately forgave his co-star; I think voters will likely do the same. It helps that Mortensen is generally well-liked by the Academy, who nominated him for the little-seen Captain Fantastic two years ago. 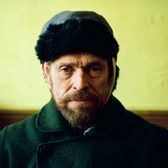 Dafoe won Best Actor at Venice, but despite great reviews — Manohla Dargis says he “has one of cinema’s great faces” — this Vincent van Gogh biopic is somewhat lacking in the buzz department. And Dafoe getting snubbed at the Independent Spirits doesn’t help. At age 24, Ronan already has three nominations to her name, and now she’s playing British royalty? Unfair. The Irish actress is earning great reviews from AFI Fest, with the Telegraph’s Robbie Collins praising her “thrilling regality and nuance.” But the film itself seems to be slightly less loved, which may make a difference in such a tough category. Facing a Best Actress field where Lady Gaga, Olivia Colman, and Viola Davis were ineligible, McCarthy still couldn’t manage to crack the six-person category at the Independent Spirits. It’s possible she felt too “A-list” for the ceremony (Destroyer’s Nicole Kidman was also snubbed) but this could be the first sign that voters haven’t warmed to this performance the way critics have. 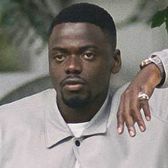 In a category filled with co-leads, Kaluuya gives a true supporting performance: He’s only in a few scenes, but boy, does he make an impact. (That wave is bone-chilling.) As the AwardsWatch podcast noted recently, there’s a small wrinkle working in his favor: Handing Kaluuya another nod this year would let the Academy pat themselves on the back for nominating him last year. Hammer gets the “supportive spouse” role that often goes to actresses in biopic season, and critics generally enjoy the wit and charm he brings to the role of Ginsburg’s woke husband. But if the Academy didn’t nominate him for Call My by Your Name, I have a hard time seeing it this year. 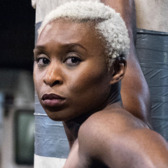 While Kaluuya might be able to overcome his lack of screen time, Erivo, who has even less, might not. 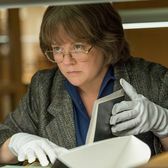 It’s a shame: Her few scenes prove her one of the few actresses working today who can match Viola Davis in stern glares. The British stage star is only an Oscar away from an EGOT, but this is probably not the role that’ll do it for her. 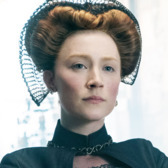 For actresses from the Commonwealth, the role of Elizabeth I is as good an Oscar talisman as any: Judi Dench won for her short turn in Shakespeare in Love, while the Academy enjoyed Cate Blanchett’s work in Elizabeth so much they even gave her a second nom for Elizabeth: The Golden Age. Robbie might have a harder time than her predecessors. While THR’s Todd McCarthy calls her “tough and imperious,” compared to Ronan, she doesn’t really have much to do in the film. Oscar Futures: Can Saoirse Ronan Land Her Fourth Nomination?